Domestic abuse is not normally considered to be a hate crime, but it could be if it is motivated by a hostility as outlined in this site. 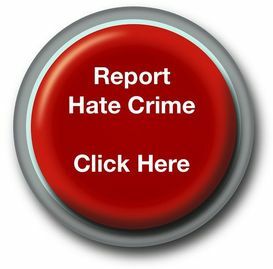 Even if it is not a hate crime, domestic abuse is wrong and the police want to support victims. If you are experiencing psychological, physical, sexual, financial or emotional abuse; or are being threatened or intimidated by a current or a former intimate partner or family member; you have experienced domestic abuse. It can happen anywhere, for example, at home, a pub or club, industry or at work. There are pressures within every family. Even if people are from your family, they should not be allowed to hurt you in any way. You may be feeling frightened, isolated, ashamed or confused but you are not alone and above all, you do not have to suffer in silence; help is available. If you are disabled, whether you live with a learning disability, mental health issues, physical disability, sensory impairment, a long-term health condition or multiple impairments, you have the right to be protected from domestic abuse in the same way as anyone else. Everyone has the right to live without abuse, even if they need assistance when carrying out day-to-day activities. If people help you around the house or with personal care; if you live within a residential home, or if you attend day care provision (whether the service provided is free or paid for), it is not OK for them to hurt you. If someone does assist you and they become abusive or threatening, you can feel very frightened and lonely. It is important to tell someone who you trust about what has happened to you, for example: a doctor, a family member, a police officer or a social worker. If you are suffering a domestic abuse incident, you can contact us by ringing your local police station or by dialling 999 or 112 in an emergency. All police services treat domestic abuse incidents as priority crimes. You will be listened to and your complaint will be taken seriously. If it is not an emergency you can find the contact details for your local police at www.police.uk (opens in new window). The first priority is to ensure your safety. You will be dealt with sympathetically, professionally and will be spoken to separately from the person responsible for the abuse. To protect you, firm and positive action will be taken against your abuser and they will be held accountable for what they have done.